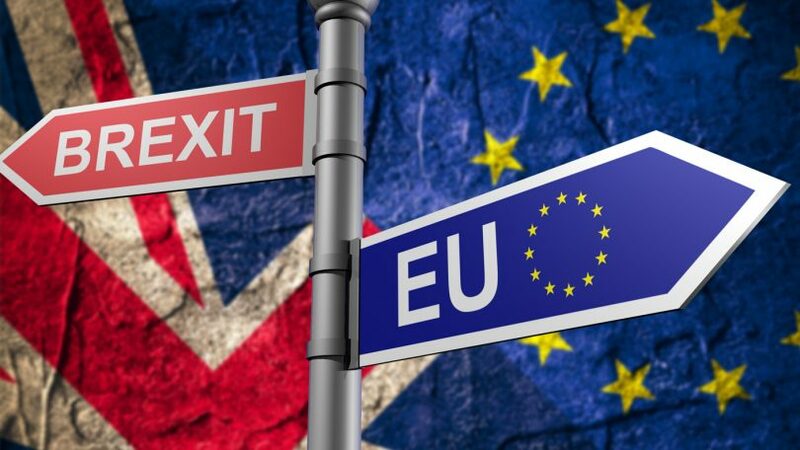 In the Referendum I voted “Remain”, not because I thought the EU was perfect, but because I thought the risks, both for the UK and for our partners, would be greater if we left than if we remained. But, as J M Keynes used to say, “when the facts change, my opinion changes”. The great factual change was that in the Referendum the voters opted in record numbers to leave, rather than to stay. In so doing they outraged les bien pensants. The latter saw their wisdom flouted – perhaps for the first time – by those whom they considered should dutifully heed the opinions of their betters. 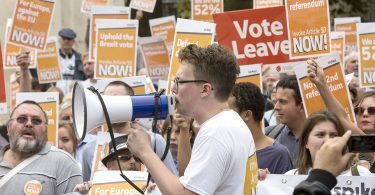 An approach more suited to Lenten penitence is to accept the Referendum result as a salutary warning about the width and depth of the divisions within our society, a warning to be ignored only at our peril and our discredit. The British are among the most level-headed and politically mature people in the world. When they pronounce in such numbers in this fashion, it would be folly to dismiss them as mistaken. My principal reaction is one of sadness that we – all of us – did not make a better job of rebuilding Europe after the devastation of World War. Nostra culpa. It began so well, and in many ways the sequel has been an outstanding success. The Schuman Declaration of May 9, 1950, is one of the greatest diplomatic texts of modern times. It brought together the extraordinary reconciliation statesmanship of Robert Schuman and the administrative genius of Jean Monnet, to produce a proposal of breath-taking boldness and imagination. At the same time its feet were firmly on the ground. Recognising how much it was asking of people traumatised by the horrors of the Second World War, the Declaration insisted on a step-by-step approach, at each stage establishing “ad hoc solidarity”. It took account both of the Soviet and the Cold War, and of the economic vulnerability of Western Europe. It had the assurance of US support, already reflected in NATO and in the near-miraculous European Recovery Programme, launched by General Marshall’s epic speech on June 5, 1947, at Harvard. Looked at nearly seventy years later, perhaps the most interesting feature if the Schuman Declaration was the provision that “a representative of the United |Nations will be accredited to the [Coal and Steel] Authority, and will be instructed to make a public report to the United Nations twice yearly, giving an account of the working of the new organisation, particularly as concerns the safeguarding of its objectives”. The Schuman Plan, as it came to be known, was not an end in itself. Its far-sighted objective was proclaimed from the outset: “the contribution which an organised and living Europe can bring to civilisation is indispensable to the maintenance of peaceful relations”. At the outset, in the days of the European Economic Community, “l’esprit communautaire” had a specific significance: it expressed the community spirit. It was the complement of, and to some extent s check upon, l’acquis communautaire, the accumulation of EEC treaties, laws, precedents and powers. In its narrower sense it signified recognition of the inevitability of the application of l’acquis producing anomalies or inequalities between member states, which could nonetheless be accepted by those affected in the confidence that any loss or inequity would somehow be made up to them on another occasion. This was an area in which Emile Noel, the legendary first Secretary-General of the EEC Commission, was particularly adept. In a broader sense it represented the esprit de corps of the EEC as whole, to which we in the UK were at pains to adhere when at last we joined in 1973. – the adoption by EU Heads of State and Government at Stuttgart in 1983 of the “Solemn Declaration on European Union, which added the words “and Member States of the Community” after “peoples” in the formula “an ever closer union among the peoples”. That is not what Jean Monnet said it was about. “We are not combining states”, he told the National Press Club in Washington on April 10, 1952, “we are uniting men”. – the transformation of the Convention on the Future of Europe from what was supposed to be a stock-taking exercise, ordained by the Declarations of Nice and Laeken,of 2000 and 2001 respectively, into a means of drawing up an EU Constitution. It was the opposite of what was wanted. The draft was immediately rejected by French and Dutch voters in referenda. Whatever the reasons for it, the disappearance of l’esprit communautaire is a reality. In the 1980s Jacques Delors, detecting particularly in France a certain morosite, asserted that it was necessary to give the EEC/EC a “soul. No-one could possibly have made such a claim about the Schuman Declaration or the Treaty of Rome. In the event Delors did not give the EU a soul. He gave it a bureaucracy of a size at which internal management and relationships tends to be more absorbing of time and energy of the officials concerned than the conduct of the organisation’s business. The EU has lost its way. The British enjoy a deservedly high reputation for their positive and constructive role in the work of major international organisations in general. Our participation in the EEC/EC/EU is the sorry exception to this happy state of affairs. We have, in the view of one seasoned British chronicler, been grumpy outsiders. Ministers of whatever political stripe seemed as unwilling to explain the benefits of membership at home as they were to take a constructive part in the management of affairs in Brussels. We were market-takers instead of market-makers. We embraced a passive and deferential “Anglo-Brussels Orthodoxy”: of which the central message was that in the end we have to do what Brussels says. Our years of membership can be roughly divided into periods of Catch-up, Opt-out and Cop-out, corresponding approximately to the Margaret Thatcher, John Major and Blair/Brown premierships. During our membership we have made three major errors of omission. First, our failure to challenge the addition at the Stuttgart Summit in 1983 of “and member States”. In his memoirs, Geoffrey Howe, who led the UK delegation as the very newly appointed Foreign Secretary, noted that “this text was not legally binding but ‘only’ declaratory; we attached less importance than most of our colleagues – less than we should have done – to this blueprint for the future”. That is Howe-speak for “we got it very badly wrong”. Secondly, no-one should have grasped more fully than the British the golden opportunity offered by the Declarations of Nice and Laeken, to which I referred, to introduce greater flexibility into the EU. We did not take it. Had we done so, we would have had a much less turbulent twenty-first century. On January 20, 2008, the House of Commons Foreign Affairs Committee published their report “Foreign Policy Aspects of the Lisbon Treaty” (HC120-1). In paragraph 59 they record that “former British diplomat Sir Peter Marshall told us drawing red lines is an inadequate and atypical British contribution”: he “went on to argue that the Government’s role in the preparation of the Treaty was effectively reduced to a damage limitation exercise of drawing red lines around what were judged to be key UK interests. This is a strategy which just leaves the field to others to get what they want at your expense”. Paragraph 60 of the Report begins “The Foreign Secretary rejected the charge of negativity”. On January 28, 2008, the Financial Times carried a letter from all seven retired UK Representatives to the EU (UKReps), a document unique in British diplomatic annals, commending the Lisbon Treaty as it began its passage through Parliament. Perhaps I should have set up camp in Parliament Square. The Lisbon Treaty is without doubt the most contorted, labyrinthine and user-unfriendly text ever presented to democratic countries for adoption as a Treaty. But perhaps its most distinguishing characteristic is the quaint nature of its Preamble. The Preamble to the Treaty of Rome, establishing the European Economic Community, follows the tradition of classical diplomacy. It records the intention in this regard of the Heads of State of the Six countries, and the appointment as Plenipotentiaries of their respective Foreign Ministers to see the matter through. In those days Heads of Government were but rarely involved in the detail of foreign affairs. Today they are never free of them. The reality of their all-pervading role in EU matters was regularised in the Lisbon Treaty. But the text adhered to the traditional pattern. Hence we are informed of the desire of the 28 Heads of State to complete the good work; and, to this end, appointing, in a substantial number of cases, themselves, to carry it through, having first, in accordance with classical tradition, “exchanged their full powers, found in good and due form”. The Plenipotentiaries signed the Treaty in Lisbon. Prime Minister Gordon Brown said originally that he could not go. He changed his mind at the last moment, and arrived after every-one else had left. Over the centuries le vieux continent has known many political configurations, none of them permanent. No arrangement has been discovered to date which suits everybody all the time. The UK is apt to find itself in the Awkward Squad, at times on its own. While the Schuman Declaration has proved itself to be the most constructive approach yet devised, the diversity of the peoples of Europe, frequently held up as one of our glories, must surely pose a problem for notions of the EU elaboration into a highly complex system seeking continent-wide uniformity. The prescriptions in President Macron’s speech at the Sorbonne sit oddly with the options outlined in the President Juncker White Paper of March 1, 2017. (1) The first post-war weighty expression of British opinion on the subject was Churchill’s Zurich speech in September, 1946. He saw Britain’s role in the uniting of Europe as support from the outside. (2) Having just conducted an extensive programme of nationalisation, the Labour Government were not wildly excited about the Schuman Declaration, nor minded to take part in the Coal and Steel Community. When asked whether Britain was part of Europe or not, Attlee replied “we’re semi-detached”, a meaningful phrase on this side of the Channel, but not having the same useful associations on the other. (5) It did not take us long to realise that this was a mistake, at least in economic terms. We applied for EEC membership in 1961. B y the end of 1962 it was generally assumed that we were coming up the straight. On January 14, 1963, at one of his Olympian-style press conferences in the Elysee, de Gaulle unilaterally and without the slightest warning, declared we were not fit for membership, thus effectively vetoing our bid. (6) It was not until de Gaulle’s departure in 1969 that we could hope to seek membership with any real hope of success. We achieved this in 1971, and actually acceded on January 1, 1973. (7) But the terms on which we joined we so onerous that Mrs Thatcher a decade later insisted on, and secured, a substantial rebate. “We want our money back”. Especially when they seem to be still, European waters run deep. When interpreting current developments, we need to look at the long history of the case. With facts such as those set out above, are we not obliged to conclude that, in Walpole’s famous phrase, “this dance can no longer go”? We have to face the possibility that our EEC venture was doomed from the start by the diplomatic brutality of the de Gaulle veto and the harshness of the entry terms. The impact was lasting, the fall-out was near-toxic. We have to face the fact, as did the seventeen million Leave Voters in the Referendum, that the EU was unable or unwilling to meet David Cameron’s modest plea of November 10, 2015, to the President of the European Council for the flexibility to achieve “a new settlement for the UK in a Reformed European Union”. The EU was, and is, headed in a direction which is against our nature. But we are part of Europe. We must find a relationship with our partners to which we and they can give “full-hearted consent”. We need to rekindle l’esprit communautaire, on both sides of the Channel. It is at the core of the Prime Minister’s proposal, in her Florence speech, for “a new era of co-operation and partnership”. The year 2020 will mark the 70th anniversary of the Schuman Declaration, and the 75th of the end of World War II, together with the adoption of the positive-sum United Nations Charter, of which the Schuman Declaration manifested such awareness. A wonderful moment at which to take stock. But the rekindling need not wait until 2020. In November, 2018 we shall observe the Centenary of the Armistice. Not least, perhaps, because I am a World War II veteran, I regard the Great War as the more poignant in all its suffering and sacrifice. In the bitterness of its aftermath, so many of those involved understandably felt that it had all been in vain. My generation has by and large been spared that haunting grief. Our contemporaries who gave their Today for the sake of the Tomorrow of others did not do so in vain. The world is a better place. The generations unite today in understanding what has been achieved and how, and in honouring the sacrifices made of yore on their behalf. Our common bond of suffering and sacrifice demand of us that we find a joint positive way forward. 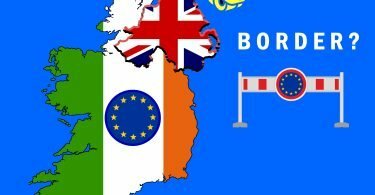 Where Are We On the Irish Border? Sir Peter Marshall, formerly of the Foreign and Commonwealth Office, served as Assistant Secretary-General of the Commonwealth, and also worked with Jean Monnet, one of the founding fathers of European integration.